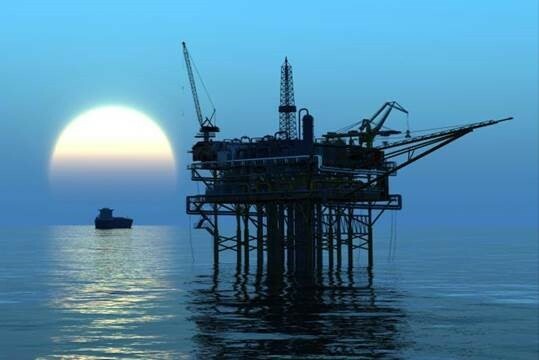 Abstract: The Petroleum Resources Management System (PRMS) is the most widely used international standard for petroleum reserves and resources classification. It is used within the oil and gas community and is also referenced by many regulatory bodies, stock exchanges and government agencies. A revision of the PRMS was approved by the SPE Board in June 2018 and is now available on the SPE website. The updated PRMS is a consensus of input collected from consulting and financial firms, government agencies, and E&P companies. The process included a 90-day public comment period and required input from six sponsoring societies. The presentation will summarise the main changes in the 2018 revision and will also serve as a refresher on the main principles of the PRMS, what it is and why it is important to the oil and gas industry. Biography: Doug Peacock is a Technical Director with Gaffney, Cline & Associates, based in Singapore, where has been for the past 13 years. He holds a B.Sc. in Geological Sciences from Leeds University, UK, and a M.Sc. in Petroleum Geology from Imperial College, London. He has over 30 years’ experience in the oil industry in a variety of geoscience positions, during employment with service companies, operators and consultancies. He has been involved in integrated applications, 3D modelling and reserves assessments throughout his career. He was an SPE Distinguished Lecturer for 2010-2011 and from 2013-2016 was a member of the SPE Oil and Gas Reserves Committee. Reservoir Management Challenges in Commingled Wells … and ways to overcome them Speaker: Nick Last Well Test Knowledge International Perth, Australia Abstract: Commingled completions are a cost effective strategy to produce from multiple independent stacked sand reservoirs. 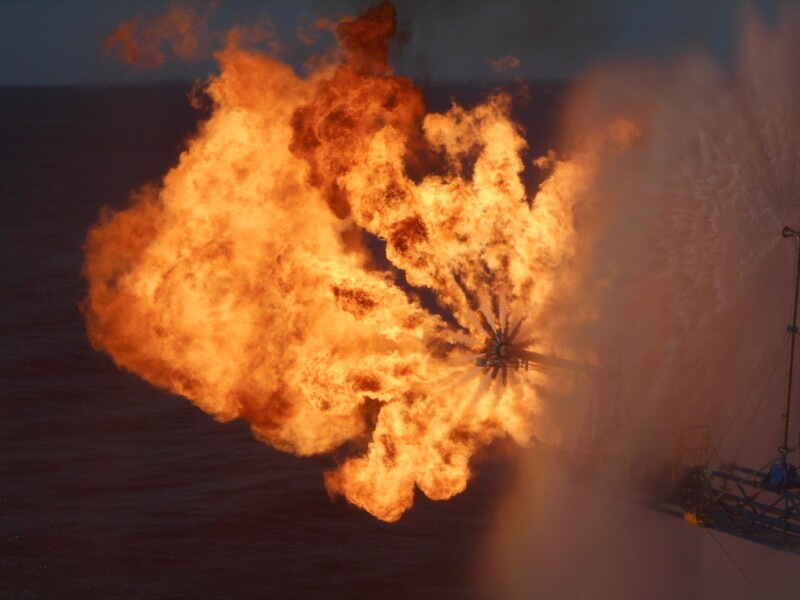 They are widely used across the Asia Pacific region, especially for gas production, and have been implemented in a variety of well types ranging from simple 2-7/8" monobores in the Gulf of Thailand to large bore sub-sea completions offshore Western Australia. But commingling presents a number of reservoir management challenges, including allocation of production back to individual zones, identifying the distribution of resource between those zones, and dealing with water influx that can shorten the well's life dramatically. This talk highlights the differences in behaviour between commingled and conventional single-sand completions, and examines various surveillance and well analysis options that can shed light on the resource distribution and help to optimize ultimate recovery. Bio: Nick Last started his career with Schlumberger in the North Sea in the 1980’s, working as a well test supervisor, logging engineer and well test interpretation specialist, before moving to Thailand as Location Manager. 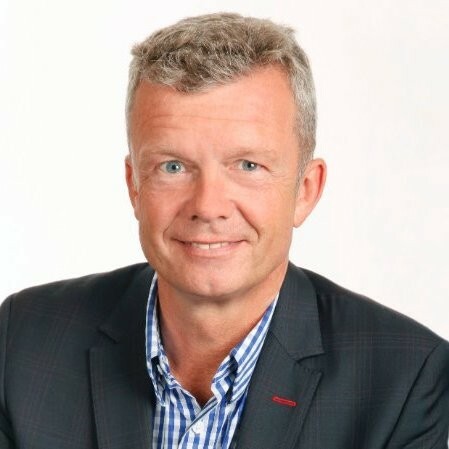 Since leaving Schlumberger he has consulted for numerous Operators throughout SE Asia and Australasia, specializing in developing testing and surveillance strategies and making sense of the resulting data. He has been wrestling with the challenges of commingled gas production for two decades, and has used that experience to teach numerous classes on well testing, production log and pressure transient interpretation, and commingled reservoir management. Nick is currently Director of Well Test Knowledge International in Perth, Western Australia. Abstract: Pipeline production system often experiences complex multiphase flow and entrained fine-particles. The erosion due to solid fine particles presents one of the greatest threats to oil and gas flow assurance and consequently impacting material selection and wall thickness design. Limited literature is available on erosional effect caused by submicron particles such as fine sand, abrasive solid materials or gas bubbles. Previous studies on particles’ erosion are limited to particle size greater than 100 microns in single phase fluid flow. This is based on the assumption that potential for erosion by particle size smaller than 100 microns (specifically lesser than 62.5 microns) is insignificant. Additionally, very few studies have addressed the combined effect of erosion caused by micro-sized particles and multiphase flow. Most predictive erosion models are limited to single phase flow for model simplification purposes. Hence, the effects of multiphase flow and its interaction with sand particles, specifically fine solids, are neglected. Therefore, an in-depth understanding of multiphase flow regimes and its interaction with micro-sized particles is an important enabler for more accurate erosion prediction. For more accurate flow modeling and erosion characterization, computer fluid dynamics (CFD) tool is required. In this study, Multiphase CFD (MCFD) is implemented for predicting micro-fine erosion, considering two phase flow pattern features. Concurrently, trajectories of fine particles’ bombardment on the pipe inner wall surface are captured using Lagrangian Particle Tracking Model. Analyses are carried out for water and gas flow at isothermal conditions, covering various particle size lesser than 62.5 microns in order to determine material removal rate. The results will be benchmarked against Tulsa multiphase erosion model prediction. Based on the results, it is concluded that the erosional effect caused by micro-sized particles is strongly dependent on the flow patterns in the pipe, determined by superﬁcial velocities of each phase. Additionally, erosional impact or material removal rate is predicted, which though small, is expected to significantly impact material design. The presence of these micro-sized particles acts as an enabler, which produces homogeneous “pits” on the surface of metal, significantly increasing the contact surface area for chemical and mechanical interactions to take place. The results from the proposed modeling using MCFD are expected to benefit erosion impact assessment in multiphase hydrocarbon production and piping systems. 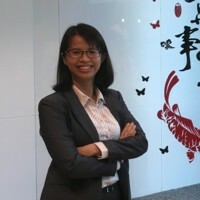 Keywords- Erosion Analysis, Submicron Particles, Fines, Multiphase CFD, Flow Pattern Features Author biography: Ngo Nguyet Tran is currently a Flow Assurance Engineer with WorleyParsons - INTECSEA division, based in Singapore. She earns a B.Eng (Hons) in Petroleum Engineering and M.Sc. in Mechanical Engineering – Flow Assurance Study from Universiti Teknologi PETRONAS, Malaysia. She has over four years’ experience in transient multiphase flow and flow assurance related issues. Other technical experience in subsurface-surface modeling and CFD modeling. She is a member of the SPE Singapore Section Committee. Conventional & Unconventional Reservoirs; What is In and Out in Today’s Pressure and Rate Transient Analysis Medhat (Med) Kamal Chevron (Emeritus) Abstract: Transient data is rich in information about the dynamic characteristics of the well/reservoir system. It has been used extensively by petroleum engineers since the 1920’s. Sustained development in this area is necessitated by three factors: (1) changes in the types of reservoirs we produce (e.g. conventional, unconventional) and their stages of recovery (e.g., primary, secondary), (2) new tools (e.g. formation testers, permanent downhole gauges), and (3) advances in solution techniques (e.g., use of computers, deconvolution). Today, the value and use of transient data are at an all-time high. Several crucial technology advancements were achieved during the last 10-15 years. The aim of this lecture is to update the audience about the increased capabilities of Pressure and Rate Transient analyses (PTA and RTA respectively) and how to use them to optimize reservoir management. After a brief review of existing methods in PTA / RTA, new developments will be discussed with special emphasis on integration and the role of the engineer to obtain a sensible and consistent reservoir model. Practical applications will be discussed including: characterizing unconventional reservoirs by combining multiple measurements, determining permeability and fluid saturations under multi-phase flow conditions, integrating the analytical and numerical solutions, combining single and multi-well tests to characterize the reservoir anisotropy, calculating the average reservoir pressure under non-uniform production and boundary conditions, and using continuous measurements of well pressures to integrate PTA and RTA to characterize reservoirs. For each case, best practices and their limitations will be presented. Biography: Medhat (Med) Kamal is a Chevron Emeritus Fellow and SPE Honorary member with over 40 years of industry experience in well testing, reservoir description and production and reservoir engineering. He is the editor and lead author of SPE Monograph 23 “ Transient Well Testing ”, and has published 35+ technical papers in SPE journals. He holds BSc (Hons.) from Cairo University, and MS and PhD from Stanford University in petroleum engineering. Kamal was an SPE board member and served as the Executive Editor of SPEREE. He received several regional and international awards including the Cedric Ferguson Medal and SPE Formation Evaluation Award. Society of Petroleum Engineers Distinguished Lecturer 2018-19 Lecture Season Reservoir and Fluid Characterization with Formation Testers: Reducing Asset Uncertainties Cosan Ayan Abstract: Formation Testers (FT) have been around for more than 50 years. Early 1990’s, have seen the emergence of pumpout wireline formation testers (WFT) which modernized their applications, including better fluid sampling, permeability and anisotropy measurements and basic downhole fluid analysis. Now, the technology is advancing further in both hardware and software as we are entering a new era in formation testing. While the industry is pushed to reduce costs, compromises on reservoir and fluid characterization can have detrimental effects in new projects and emerging FT applications are well poised to provide critical answers to reduce asset uncertainties. In this lecture, we will briefly focus on existing and emerging hardware/software on formation testing but our focus will be on applications of acquired and interpreted data for reservoir and fluid characterization. We will discuss pressure gradient analysis and implications of gradient errors for reservoir engineers. We will review the effects of OBM contamination on fluid uncertainties and the choice of inlet types on cleanup behavior. Emerging downhole fluid analysis sensors will be discussed and a new deep transient testing method will be introduced. In-situ stress testing with WFT will be outlined with drilling and reservoir engineering applications. We will discuss these points with field examples. Finally, desired features of next generation WFT will be outlined. Biography: Dr. Cosan Ayan was a Reservoir Engineering Advisor for Schlumberger Wireline Headquarters based in Paris, France, who has opted for early retirement in June 2017. Cosan had several international assignments covering Houston-USA, Indonesia-Jakarta, United Kingdom-Aberdeen, UAE-Abu Dhabi, and Egypt-Cairo. He holds BS degree from Middle East Technical University, Ankara, MS and Ph.D. degrees from Texas A&M University, College Station all in Petroleum Engineering. He is the author of more than eighty-five technical papers on Well Testing and Reservoir Engineering and was a SPE Distinguished Lecturer during 2005-2006. Cosan served as an Executive Editor for SPE REE Journal from 2007-2010 and edited SPE e-book volumes on “Getting Up-To-Speed: Formation Testing”. Cosan received the SPE Formation Evaluation Award, September 2015. Abstract: It is commonly accepted that petrophysics/ formation evaluation is critical for quantitative full field evaluation, yet the perception among some is that its mostly about expensive logging, calculating net-to-gross, porosity and saturation. However, from a business perspective, it’s much more than that. Petrophysics is integral throughout the life cycle of the field, and one of the aims of this talk is to show that by engaging your petrophysics teams early, and keeping them engaged through the process, significant business uplift can be achieved. In particular, this talk will highlight a concept known as the “petrophysical value chain” as it relates to exploration, development and production. This talk will also use show some real world examples of how logs, if incorrectly interpreted, can result in lost opportunities, and that sometimes, the interpretation is itself bounded by the complexities of the operations itself, requiring more than just logging to get to an answer that makes (economic) sense. Finally, there will be a discussion on how petrophysicists must avoid the “silo” effect that can come with being practitioners of this discipline. About the Speaker: Munish Kumar is currently a Sr. Petrophysicist with Total Asia Pacific Exploration, based in Singapore. 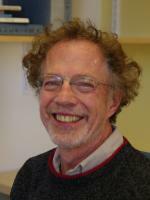 His focus is on operational petrophysics and formation evaluation of assets in Asia, Australia and the Pacific region. Prior to this, he was a Sr. Petrophysicist with ExxonMobil (Exploration, Development and Production) in Australia and Houston, working on fields in Alaska, Gulf of Mexico, Mexico, W. Africa, Indonesia, Papua New Guinea, North West Shelf and Gippsland Basin, Victoria. He has a PhD in Physics and Engineering (Applied Mathematics) from the Australian National University (2010) and a BEng (Hons) in Electrical and Computer Engineering from the National University of Singapore (2005). His interests include multiphase flow in reservoir systems, core analysis , computer vision and image analysis, machine learning applications and data analytics as a means to analyze complex petrophysical problems. Big Data Analytics: What Can It Do For Petroleum Engineers And Geoscientists? Srikanta Mishra Abstract: Big data analytics has become quite the buzzword in recent years, and its growing application in E&P operations promises to be an exciting new development. It involves: (1) acquiring and managing data in large volumes, of different varieties, and at high velocities, and (2) using statistical techniques to “mine” the data and discover hidden patterns of association and relationships in large, complex, multivariate datasets. The ultimate goal is to extract as much intelligence from our ever-expanding trove of data to improve operational efficiencies and make better decisions for optimizing the performance of petroleum reservoirs. However, the subject remains a mystery to most petroleum engineers and geoscientists because of the statistics-heavy jargon and the use of complex algorithms. In this talk, I will provide a “gentle” introduction to big data analytics by focusing on: (a) easy-to-understand descriptions of the commonly-used concepts and techniques, (b) broad categories of E&P problems that can be solved with big data analytics, and (c) case studies demonstrating the value-added proposition for big data. The one key idea I would like to offer as a takeaway is this : There is significant potential for data analytics to provide insights that can be translated into actionable information in E&P projects, but petroleum engineers and geoscientists need to have a fundamental understanding of data-driven modeling concepts, their applicability and limitations. Biography: Dr. Srikanta Mishra is Institute Fellow and Chief Scientist (Energy) at Battelle Memorial Institute, the world's largest independent contract R&D organization, where he manages a geoscience-oriented technology portfolio related to computational modeling and data analytics for geological carbon storage, shale gas development and improved oil recovery projects. Dr. Mishra is the author of “Applied Statistical Modeling and Data Analytics for the Petroleum Geosciences” recently published by Elsevier, and has also taught multiple short courses on uncertainty quantification, statistical modeling and data analytics. He holds a PhD degree in Petroleum Engineering from Stanford University. The SPE Singapore is introducing a new payment option: You get a 10% discount on your entry if you transfer the money directly onto the SPE account: Payee name: Singapore SPE, DBS Bank Ltd, Account number: 0060123937 Student: S$27, Members: S$45, Non-Members: S$67.5 Pay at the door prices: Student: S$30, Members: S$50, Non-Members: S$75 Includes buffet and 2 drinks. Please include your SPE member ID for Students and Members, and your name in the message to the Payee.